This rustic chest from Home Styles provides a truly timeless look, blending easily into any style of decor. Its manufactured wood exterior is finished in a tasteful brown colour. This black 3-Drawer tool chest is made from high grade all welded steel construction and finished with tough black industrial powder coat paint. 2 small and 3 large drawer are ideal for a wide array of items. All drawers feature 50 lb. rated ball bearing drawer slides. All drawers have extra-large full width aluminum drawer pulls for easy access. The cabinet drawers are secured by a keyed internal locking system and come with 2 keys. 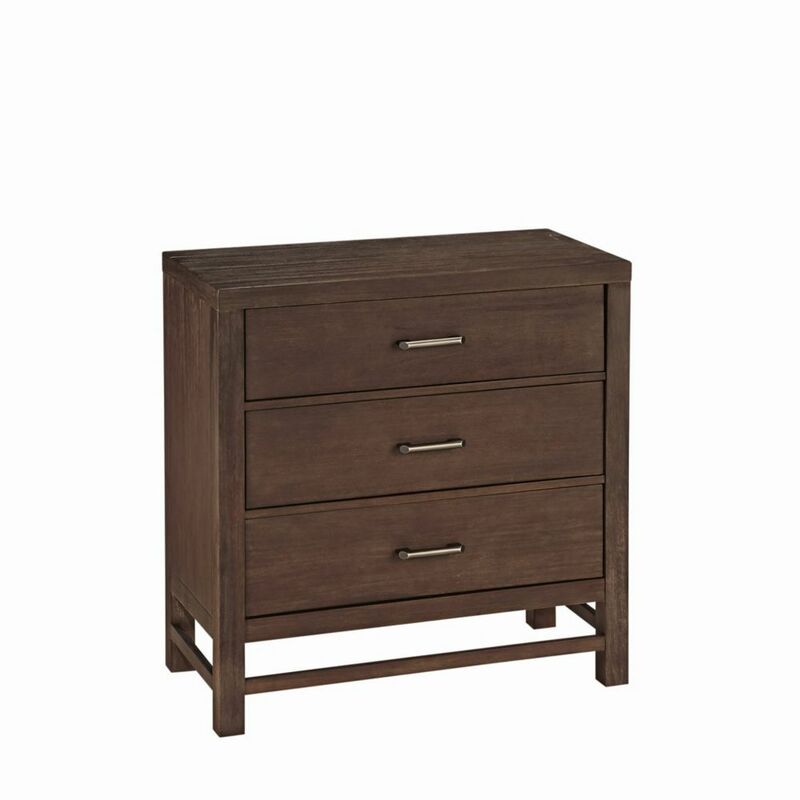 Barnside 36-inch x 36-inch x 18-inch 3-Drawer Chest in Brown This rustic chest from Home Styles provides a truly timeless look, blending easily into any style of decor. Its manufactured wood exterior is finished in a tasteful brown colour. Barnside 36-inch x 36-inch x 18-inch 3-Drawer Chest in Brown is rated 5.0 out of 5 by 1. Rated 5 out of 5 by HomeDepotCustomer from Was a gift for college bound daughter. Loved the option... Was a gift for college bound daughter. Loved the option for shipping to a store in destination city. Dad put together with no problems. Daughter loves and is serving her well!